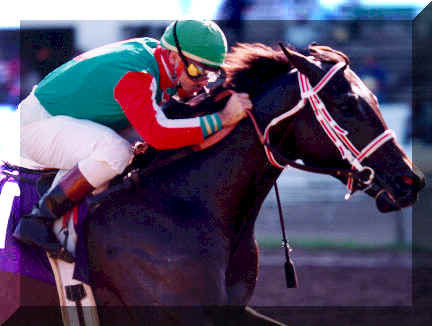 Answer Lively, owned by Eclipse award winning owner John Franks, winning the Sport of Kings Futurity at Louisiana Downs in the famous orange and green silks of Mr. Franks, made by Betty Matthews. 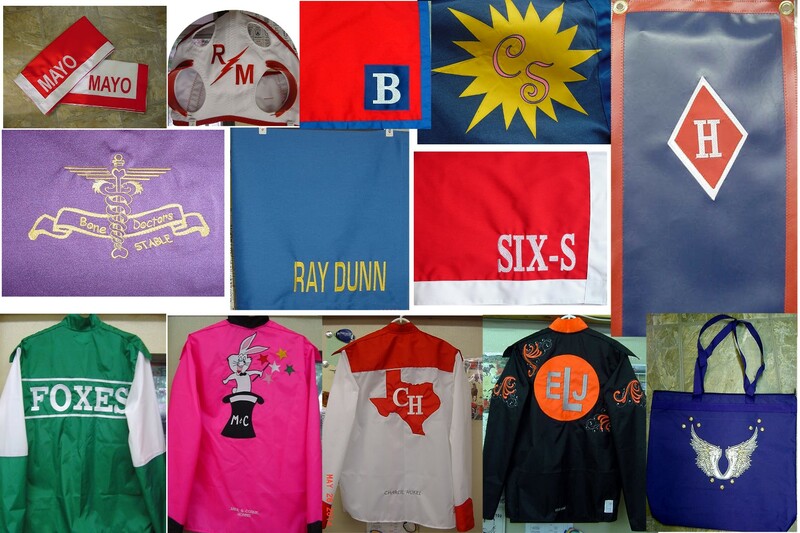 Our services are available to Thoroughbred and Quarterhorse owners. Brochures and fabric swatches are available upon request. Orders can be placed by phone, mail, or fax. Copyright ï½© 1999 by Betty Matthews Racing Silks. All rights reserved. Revised: 15 Dec 2006 12:48:09 -0500 .